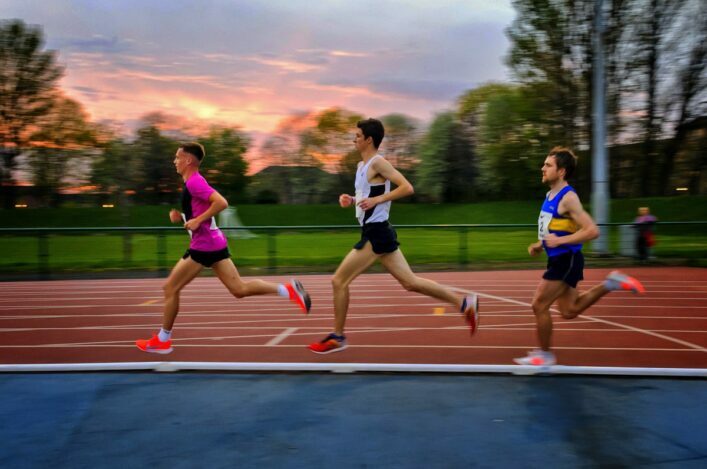 To progress beyond Level 1, you need to gain more experience in your chosen discipline. You will need a minimum of ten experiences, working with a more experienced official, to proceed to Level 2. 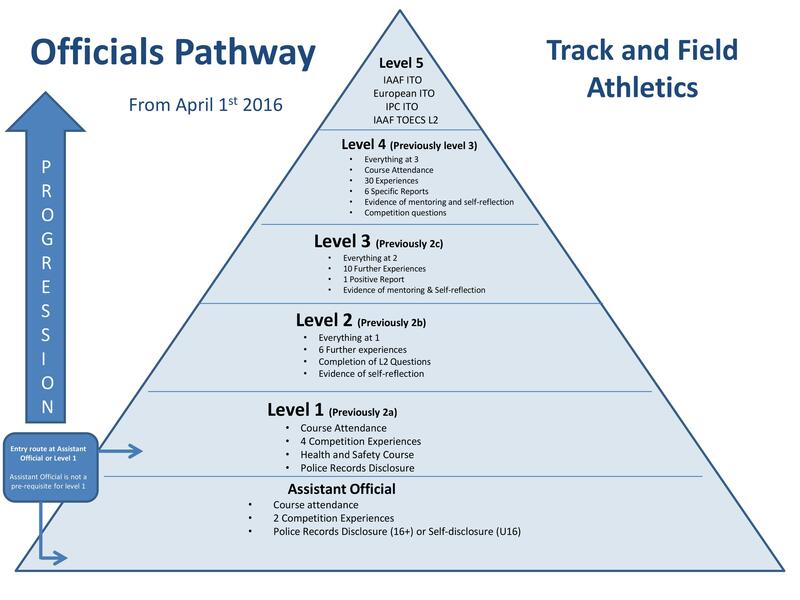 Click on the image below to see an enlarged version of the Officials Pathway. 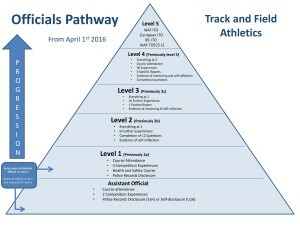 You can also download the full Officials Pathway – Track and Field Athletics document (11 page pdf). A completed set of the discipline-specific questions included on the CD you were given when you completed your Level 1 course. These should be sent to the relevant peer group head, as listed on the Officials’ Commission page. For upgrading report forms for individual disciplines, see relevant sections of the Officials’ Toolkit.